It’s official! Our 2019 site is Southern Pennsylvania and Amish Country. Keep an eye on our blog for updates, training tips, route previews and miscellaneous fun. Plus: Experience past Tours through riders’ own stories. Recycling is back in 2019! Generate funds toward your Tour fundraising goal by recycling old cell phones and other small electronics. 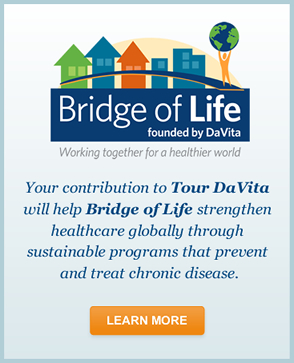 Tour DaVita 2019 is around the bend! Get ready for an exhilarating ride back in time as we journey through Pennsylvania Dutch country this fall! Plans are now underway to pedal our way along Lebanon County’s winding, rolling country roads, past 18th and 19th-century farms and historic sites. (Warning—you may have to share the road with an Amish buggy or two!) Mark your calendar for the April registration dates below, and don’t miss your chance to be part of this exciting chapter in the Tour DaVita legacy. 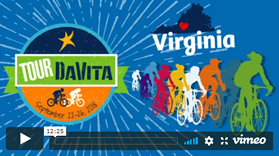 For a virtual Tour DaVita experience, take a look at the 2018 Tour DaVita Recap Video from last year’s ride in Virginia. 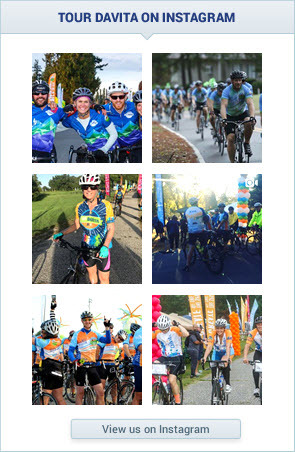 DONATE OR SUPPORTA RIDER TODAY!